Finally, I arrived on Mt. 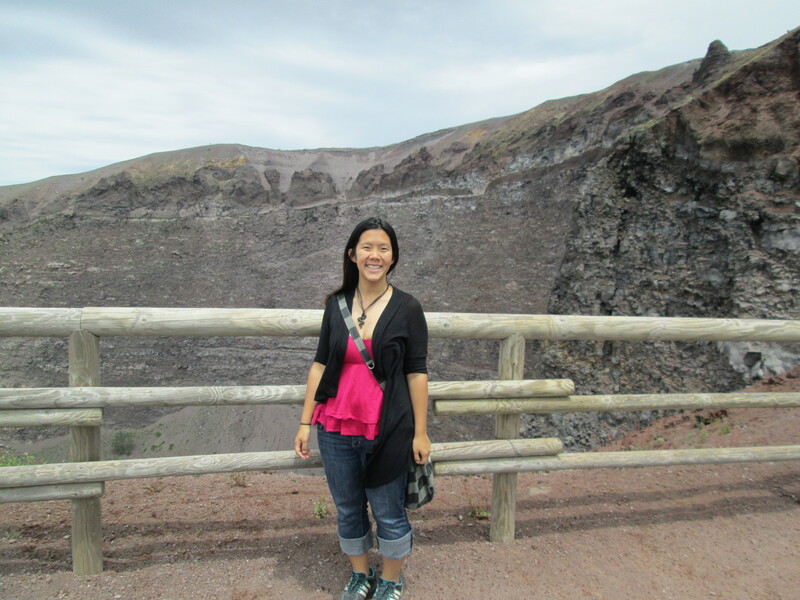 Vesuvius, after getting to the Ercolano Train station, and hopping a 20-min shuttle drive up the side. I won’t lie, it was a little anticlimactic for me. The 30-min hike up the rim was steep, but riddled with gravel and dust, and no protection from the beating sun. The rim of the volcanic crater slopped off into this massive hole with disproportionate sides, sparse vegetation, and nothing close to an imposing atmosphere. The volcano is best known for it eruption in AD 79 that completely smothered and buried the Roman cities of Pompeii and Herculaneum. The activity ejected a sprawling cloud of stones, ash, and fumes to a height of 20.5 miles; Molten rock and pulverized pumice were spewed at a rate of 1.5 million tons/sec, releasing a 100,000x the thermal energy released by the Hiroshima Bombing. 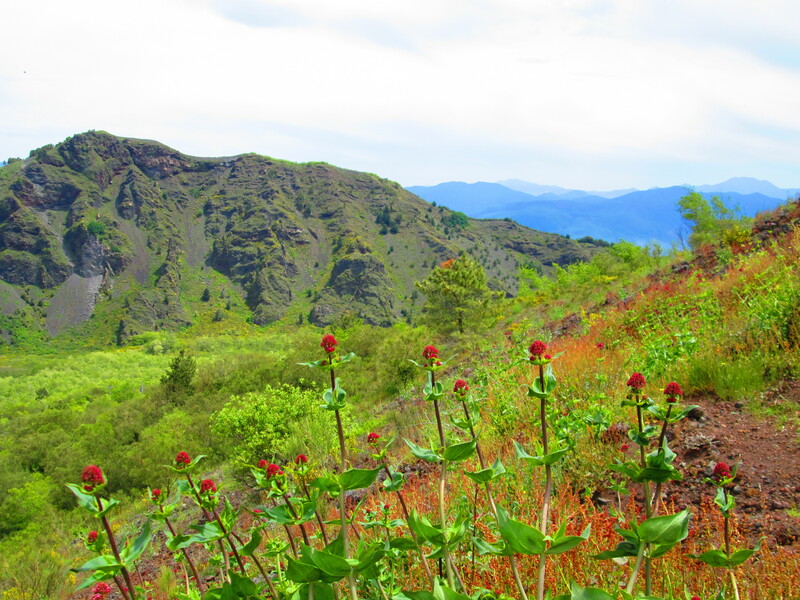 Today, it is on only volcano on the european mainland to have erupted within the last hundred years. It is regarded as one of the most dangerous in the world due to the dense population of 3,000,000 people and its tendency towards explosive (Plinian) eruptions. 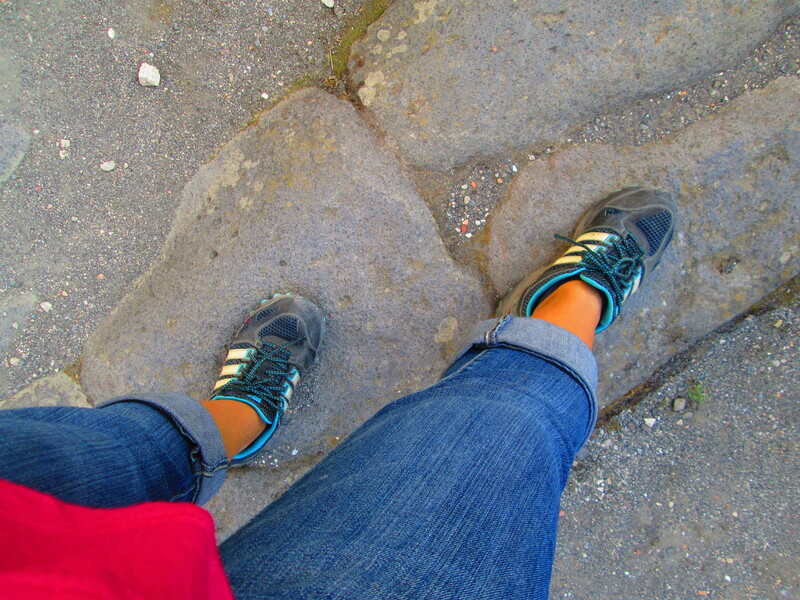 Descending from the volcanic slopes, I hopped a train to reach my next destination. Unfortunately, the signage was not clear, and it took a bit longer due to having to hop off and go back in the former direction. I did meet two british teachers who were on holiday for the season, and we enjoyed a very nice chat about employment and careers. Somehow I always manage to converse with kindly middle-aged people; I just have that kind of personality. 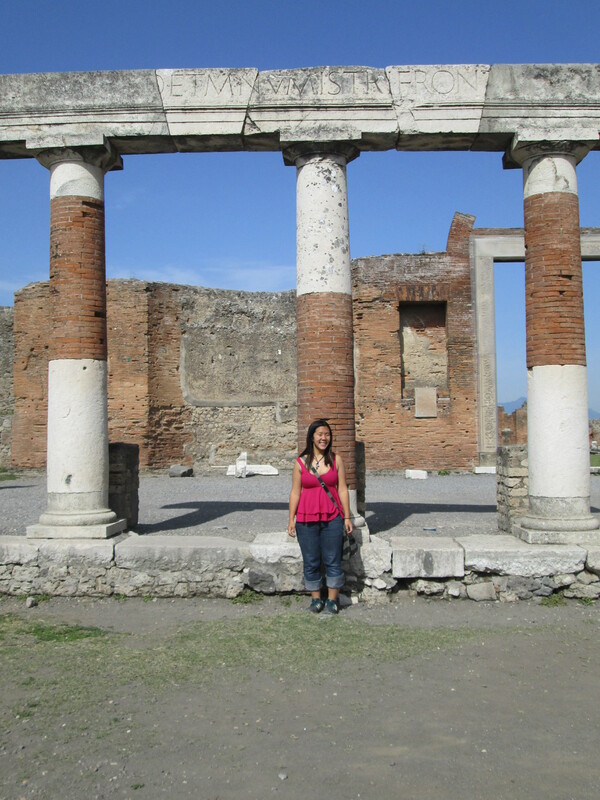 Arriving at the Pompeii Scavi, it is difficult to describe how much square footage this city encompasses. 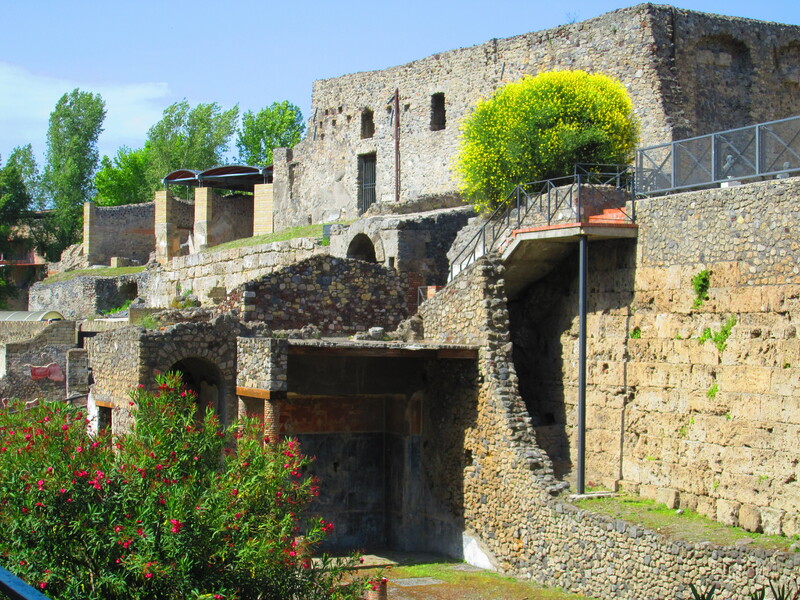 It is believed that the town was founded in 6th or 7th century BC and was captured by the romans in 80 BC. When it was destroyed 160 years later, the population had exploded to 20,000 with a complex water system, amphitheatre, gymnasium, and a port. 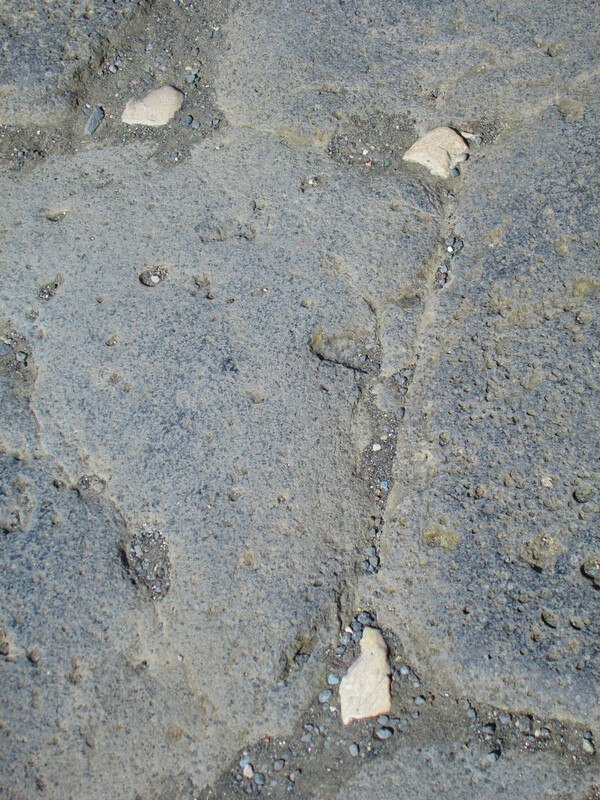 Evidence indicating the destruction comes from a surviving account from a letter written by Pliny the Younger. He saw a firsthand account of the eruption from a distance across the bay, and described the death of his uncle, Pliny the Elder, an admiral of the Roman fleet who tried to rescue citizens. The site was then lost for 1500 years before being rediscovered in 1599. Buried objects have been well-preserved for thousands of years due to the lack of air and moisture. White Marble to reflect the moonlight, so citizens could walk the streets at night. 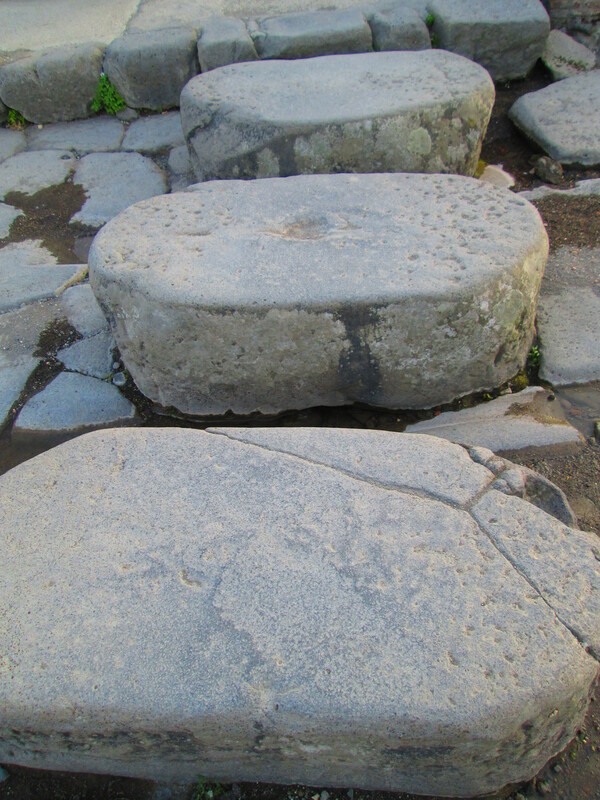 Raised stones, so citizens could cross the streets above the much of animal refuse and garbage. The first documented brothel in the world. (Okay, maybe not innovative, but certainly a historical achievement). At the end of the day, I just couldn’t get over the fact that it was these humble two feet, that traipsed across the streets of a centuries old city riddled with heritage and tragedy.